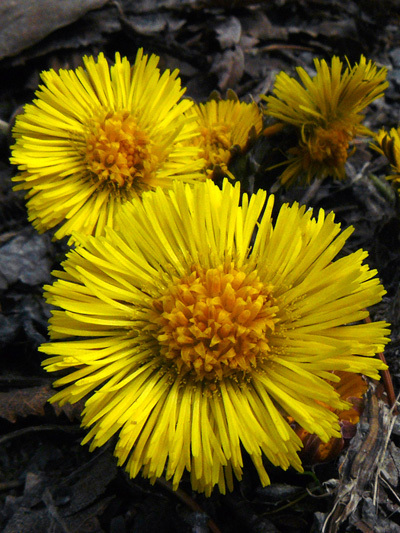 Often mistaken for a Dandelion, the Colstfoot show is flower a couple of days earlier. In fact the Colstfoot bud appear in late fall spending all winter under the snow. The leaves appears only after the plant as finish is reproduction cycle, there sizes are huge in regard of the flower size. This introduced is probably widespread in Quebec after the many crops made for its medicinal properties.